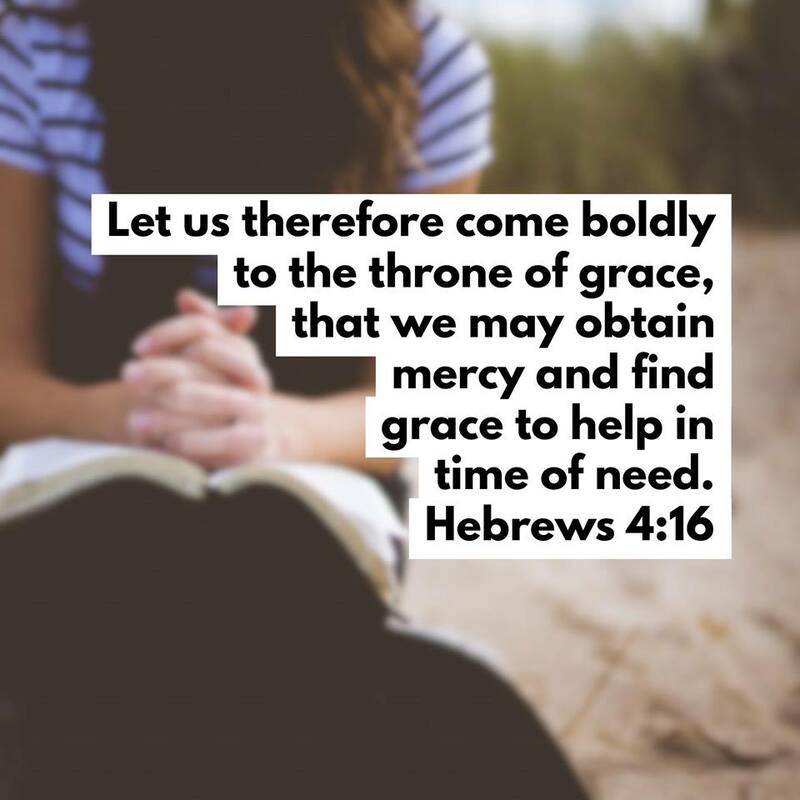 Our time of need for His grace, love and mercy is today and everyday...exactly where we are in this moment...in every struggle...in all aspects of our humanity. So, let us draw near to Him and approach His Throne with confident faith and full assurance because of Who He is and what He has done for us. In The Name of Jesus Christ, with prayer and petition...let us make our requests known to our Almighty Father God of unlimited resources...our all-powerful, all-seeing, agape-loving, marvelously-merciful, Holiest-of-holies King, who has gloriously given us access to His ALWAYS sovereignly sufficient Grace. And may our hearts be strengthened by the sprinkling and sanctification of His Grace, as His power rests upon us in our weaknesses. through whom we have access by faith into this grace in which we stand; and we rejoice in the hope of the glory of God. But Christ is faithful as the Son over God's house. And we are His house, if we hold firmly to our confidence and the hope of which we boast. let us draw near with a sincere heart in full assurance of faith, having our hearts sprinkled to cleanse us from a guilty conscience and our bodies washed with pure water.